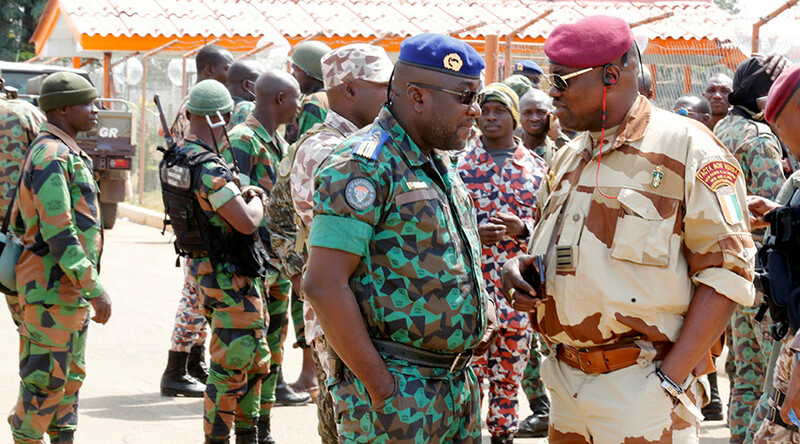 Mutinying soldiers in Cote d’Ivoire dissatisfied with their bonus payments reportedly reached a deal with the government late Friday. Several major cities in the west African country were blockaded amid the negotiations, with gunfire also reported. The deal was struck in the city of Bouake, where a delegation headed by Defence Minister Alain-Richard Donwahi had earlier gathered for talks, Reuters reports. A group of mutinying soldiers earlier blocked multiple roads leading to Bouake, the second largest urban area in the country. It came as an apparent continuation of last week’s military flashpoint, which saw gunfire breakout in a number of Cote d’Ivoire cities as part of a mutiny over a pay rise deal. Scores of soldiers surrounded a government official’s property in Bouake where pay talks were being held. Gunfire has been heard in the coastal city of Abidjan, according to AP, citing witnesses. One Abidjan resident described to AP how “shots are continuing to intensify” near a military camp in the city. Meanwhile, the northern city of Korhogo also saw its roads blocked by the military. "We've come back to the checkpoint because we don't expect anything good from negotiations. We want our money. That's why we are here," said a soldier taking part in the mutiny, as quoted by Reuters. It has been reported that members of the armed forces were demanding an increase in pay to 5 million CFA francs, about $8,000. Soldiers were also said to be seeking the payment of overdue bonuses, quicker promotions and better living conditions. Last week, the country’s defense minister Alain-Richard Donwahi said the government was prepared to discuss demands. A deal had thought to have been previously agreed on January 7.